As Fox News reports, New York Democrat Andrew Yang, eyeing a White House run in 2020, is touting a plan for “universal basic income.” In this deal, the government would give $12,000 a year to each American adult. Where will this money come from? Yang wants a “value-added tax, known as a VAT,” of 10 percent that he claims would raise $700-$800 billion. This scheme deserves a hard look. Though touted as “value added,” the VAT fails to add any value to anything. All it does is jack up the price consumers pay at point of purchase. Under Yang’s plan, a California consumer buying a new Toyota would be looking at the state sales tax in the neighborhood of 8 percent, plus an additional 10 percent. So the VAT is higher than the sales tax, now highest in the nation. California’s sales tax was once much lower, so consumers could expect a rise in the VAT, perhaps to 15 percent, as it is in several Canadian provinces. Yang was the CEO of the test-prep education company Manhattan GMAT, and in 2011 he launched Venture for America, “a New York City-headquartered organization that trains entrepreneurs.” Workers might find it strange that someone billed as an “entrepreneur” wants to make the goods they need more expensive, without adding any actual value. 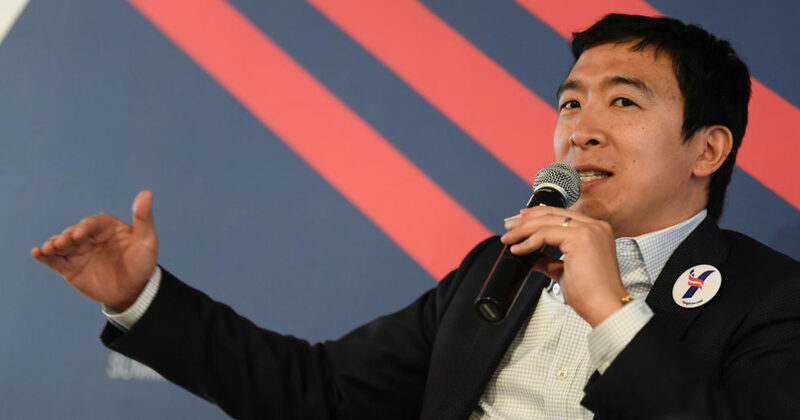 Yang says his VAT is “very, very different from socialism when the government actually nationalizes the means of production,” and he is right about that. A VAT is not socialism. It is an overflowing crock of the same punitive high-tax stew workers have come to expect from those unwilling to cut waste and trim government down to size. As for the $12,000 giveaway, if workers saw that as a plan to buy votes it would be hard to blame them.